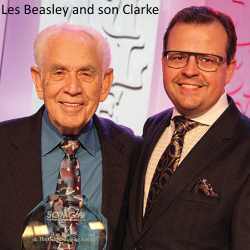 On June 7, Les Beasley and "The Gospel Singing Jubilee" television show were honored by the Southern Gospel Music Guild. Les is known as the former lead singer and manager for the Florida Boys, but he was also one of the pioneers in Gospel Music TV, producing "The Gospel Singing Jubilee" for many years. Under Beasley's direction, the popular program aired on Sunday mornings in all the major television markets in the United States. For over two decades, it was viewed by millions across the country each week. As a result, the careers of many of gospel music's top groups were launched, and many of gospel music's most well-known songs were introduced to the world for the first time through the exposure of this television show. Artists who performed at the June 7th celebration included Goodman Revival, Jason Crabb, Nelons, Tribute Quartet, LeFevre Quartet, Rambo-McGuire, Ronny Hinson, Freedom Quartet, Three Bridges, Second-Half Quartet, Inspirations, and Karen Peck & New River. 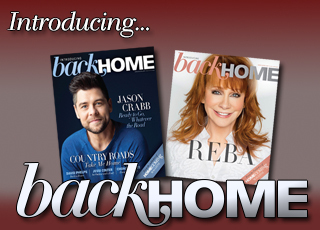 Duane Allen (Oak Ridge Boys), and Willie Wynn (former tenor with the Oak Ridge Boys) were also interviewed. This program will be televised on July 15 on TBN.